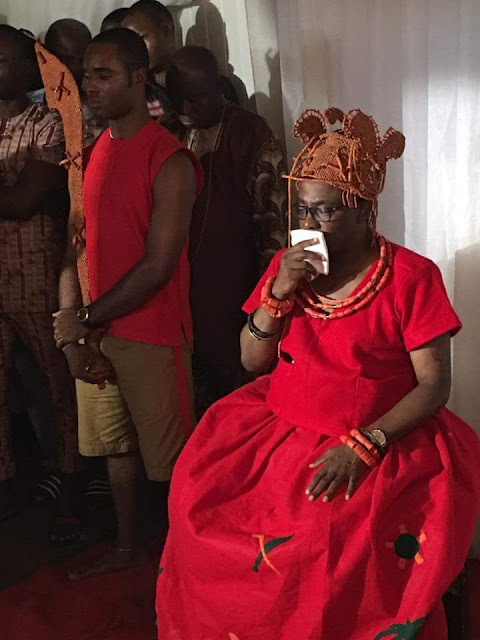 Today marks the dawn of a new era in Benin, Edo State as the Crown Prince, His Royal Highness, Eheneden Erediauwa, ascends the revered throne to become the 39th Oba of Benin, succeeding his late father, Omo n’Oba n’Edo Uku Akpolopkolo, Oba Erediauwa. 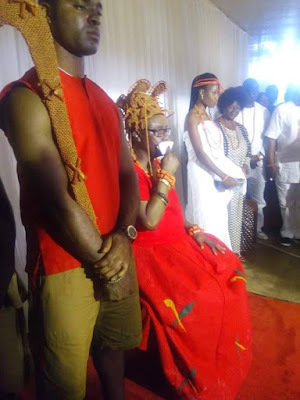 Prince Erediauwa was crowned at about 2am on Thursday by the Usama N’ Ihiron also known as the Edion led by Chief Oliha. Other members of the Edion are Edohen, Ezomo, Ero, Eholo N’ Ire, Oloton and Edaiken. The crowning was done at a private ceremony inside the Usama Palace, a temporary building erected for the coronation ceremony. However, the name of the new Oba is still being kept from the public until the Oba is presented to the public at Urhokpota hall. Sources said that after the coronation ceremony was performed in the inner chambers, the new Oba was presented to the people outside. Unlike before when the Crown Prince move about without covering his mouth, the source said he wore the crown and used a white handkerchief to cover his mouth. It was gathered that there was huge jubilation around the Usama palace and great fireworks. Meanwhile, a large crowd has gathered at the Usama Palace to accompany the new Oba to Urhokpota. 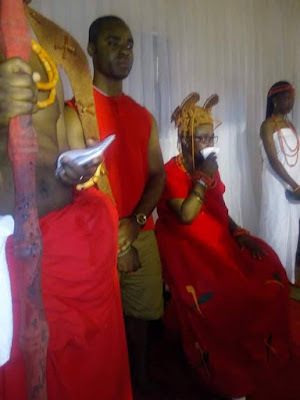 Among those present is Chief Omohor of Benin Kingdom, bearer of the ancient sword carried by the Oba, the Ikpakohen group ( royal drummers) from Ikpema responsible for beating the royal drum, Ekassa dance group, Isienmwenro guild amongst others. A bridge has been constructed at the now dried up Omi River and Chief Omoruyi Isekhere is waiting to take the Oba across the bridge. 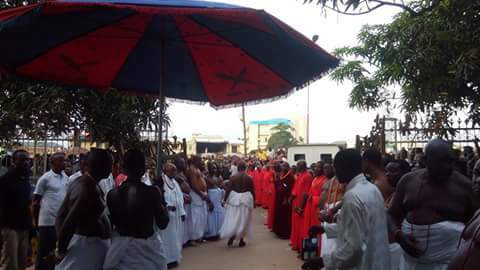 On his way to Urhokpota, the Oba will pass through Isekhere, performed some ceremony at Iwehen street under the watch of Ewaise N’ Iwehen and proceeded to cross the bridge.